Electronic music producer-turned-solo-artist James Blake has been a fixture in the pop and alternative R&B scene for a number of years. While his last record, “The Colour in Anything,” was released in 2016, Blake has kept busy with a number of high profile songwriting credits on albums such as “Lemonade” and “Blonde,” as well as more recent features on “King’s Dead” off of the “Black Panther” soundtrack and “Stop Trying to be God” from Travis Scott’s 2018 blockbuster “Astroworld.” Now Blake is back with a new full length project, “Assume Form.” Sonically diverse, lyrically poignant, and at times simply stunning, “Assume Form” is my favorite effort from the British artist since 2013’s “Overgrown” and a triumphant declaration of flawed, human love which is sure to resonate with listeners in its earnestness. The album begins with the titular, “Assume Form,” which sees Blake crying out in his trademark falsetto over a piano line which is equal parts ominous and glamorous. Halfway through its runtime, the track changes in key and momentum as the drumline gets subtly more prominent and some distorted vocals hum a melody which, while distant in the mix, wedges itself in the listener’s mind. Blake repeats the melody of the backing vocals in the song’s climactic moment, crying out declarations of “Don’t you know your best side shows when you’re unaware … Doesn’t it feel more natural? Doesn’t it see you float?” The instrumental then swells to match the vocals, with the whine of the strings and the increasingly urgent drums propping up Blake’s almost desperate exaltations, and for a moment there is the illusion of suspension in air. While the track has plenty of poignant and striking moments, the song as a whole is relatively structureless, a factor which might leave some listeners feeling bored or in need of some sort of direction. The album is chock full of starry-eyed love songs, with Blake guiding the listener through the bliss of new love as on “Can’t Believe the Way We Flow.” While the lyrics are certainly sweet, the track’s success lies in its inventive production, which structures Blake’s cascading lead vocals over a marching, glittering instrumental. The warbly, chipmunked vocal samples which pop in throughout the track are also a welcome addition. Similarly lovestruck is the song “I’ll Come Too,” which features a number of smooth and sweet backing vocals sampled from Italian film composer Bruno Nicolai. Indeed, the track feels as if it is meant to score a love story, giving off an intoxicating, moonlit aura as Blake sings of eschewing quotidian concerns in an effort to be with his lover. While Blake has received much deserved credit thus far, “Assume Form” would simply not be as impactful without stellar features from Rosalía and Andre 3000. The Spanish pop phenomenon Rosalía, whose latest release, “El Mal Querer,” was one of my favorite records of 2018, meshes excellently with Blake on the surreal and haunting “Barefoot in the Park.” Also, Andre 3000 is predictably sharp and contemplative, delivering a verse recounting feelings of paranoia and fear on the neurotic “Where’s the Catch?” While the closing track, “Lullaby For My Insomniac,” is certainly pretty, it feels a bit too lowkey to serve as the closing statement for an album this engaging. 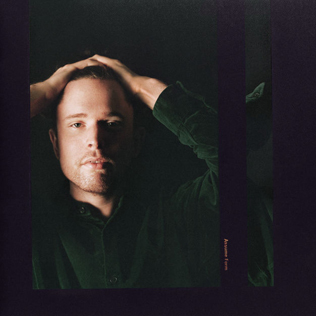 Some, though not all, of James Blake’s music has become somewhat of a meme in the world of musical criticism for what some publications dub as a half-baked, mopey, “sadboi” aesthetic. However, the songwriting on “Assume Form” is simply too earnest and human to be characterized in this way. And even if it weren’t, the instrumentals and vocal performances are strong enough that one might not care. Even for those who are not engaged from front to back, “Assume Form” contains a number of highlights, making it a wholly worthwhile listen and a great achievement for the British jack-of-all-trades.